This week we thought we’d share some incredible strategies from business coach (and Helm member) James Ashford. 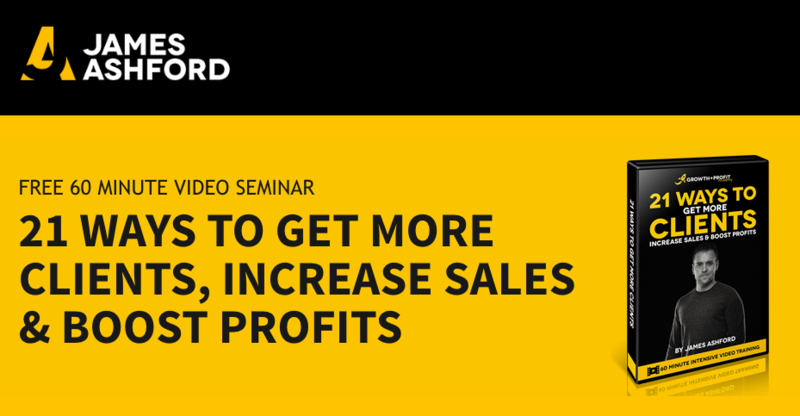 To celebrate the release of James’ new video course – 21 ways to get more clients – we’re sharing 3 of his 21 strategies to help you give your business a boost today. These strategies are completely FREE, and are ideal for business owners who feel like they’re the best kept secret in their industry right now, and who want to reach more people with no / low cost strategies that are proven to work. If you’d like to grab ALL 21 strategies right away just head over to James’ website. This strategy will help you attract the clients you’d like to work with. The basis of this strategy is to take a potential client through a series of steps until they become your client. If you don’t have these steps in place, you’re asking someone to leap into buying something from you, and it just doesn’t work that way. Marketing is all about moving potential clients to the next step by meeting them where they are now, then helping them transition to the next step. If you don’t have an automated system in place to do this, you’re leaving a lot of potential customers by the wayside. You really need to drill down and understand what keeps your clients awake at night. The bigger the problem you can solve, the more value you are to the world. To do this, get under the skin of your dream clients. You can’t just guess this or do a survey because you won’t get to know what the real extent of their problems are. You need to find their core problem not the surface problem. Try identifying your dream client(s) or your favorite existing client, take them for a drink. Usually by the second or third drink they’ll start to open up. You need to hear in their own words what they’re struggling with. Then use these exact words in your marketing literature to really resonate with potential clients, and get them to work with you. People don’t care about your services or your business. What they care about is changing their own lives or business. There’s no point listing your services on your website because people don’t think in terms of services, they think in terms of transformation. Ask your past clients what’s the greatest way you changed their business. Then use this feedback in your marketing materials. Focus on the transformation not the service. You’ll find the remaining 18 strategies here (there’s some real gems in there so make sure you take a look). If you want to hear even more from James, head over to his website where you’ll find loads of useful strategies and tips. Fancy being around entrepreneurs like James on a regular basis? 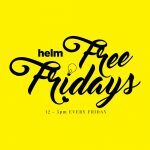 Pop down to Helm and see how we can help your business thrive. You’ll find us at Woodfield Park, Tickhill Road, Doncaster.